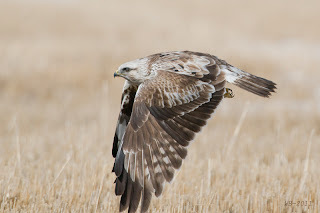 Today, out on the range west of Bittern Lake, the Rough-legged Hawks outnumbered the Red-tails. 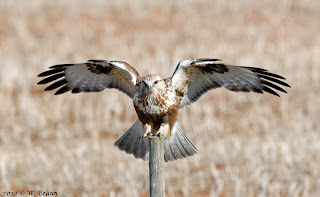 I must have seen a dozen as they hunted on the range while moving north to their breeding grounds. 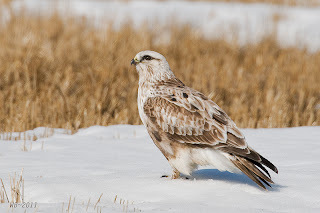 The Rough-Legged Hawk (Buteo Lagupus) is a circumpolar Buteo -- the Hawk of the North. It nests in the far north, generally above the tree line of Alaska and Canada, including the lower high arctic islands. 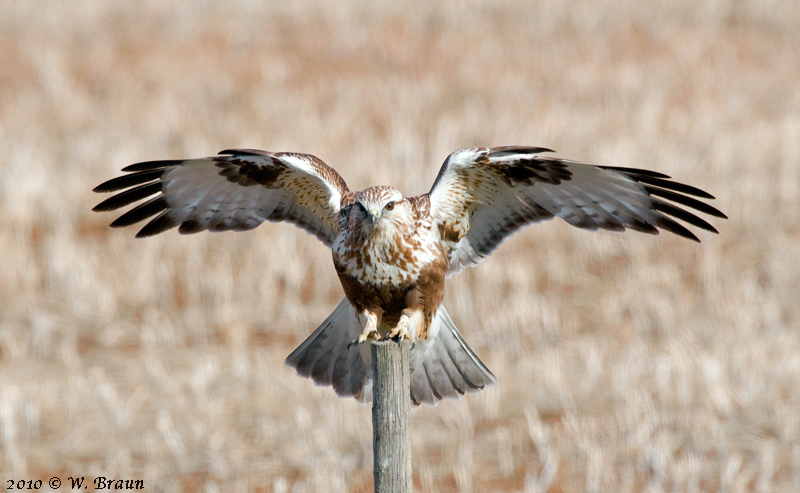 In these regions lemmings are the main food item. 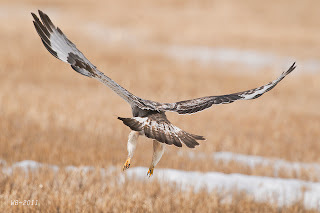 We see them here throughout Alberta during migration, from mid-October through November, and again from mid-March to May. Some will overwinter in the province if the winter is mild and the snow cover not too deep; most will move the lower US during the winter. 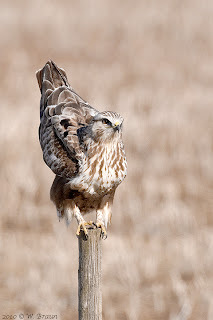 This is a big hawk, about 48-60 cm tall. 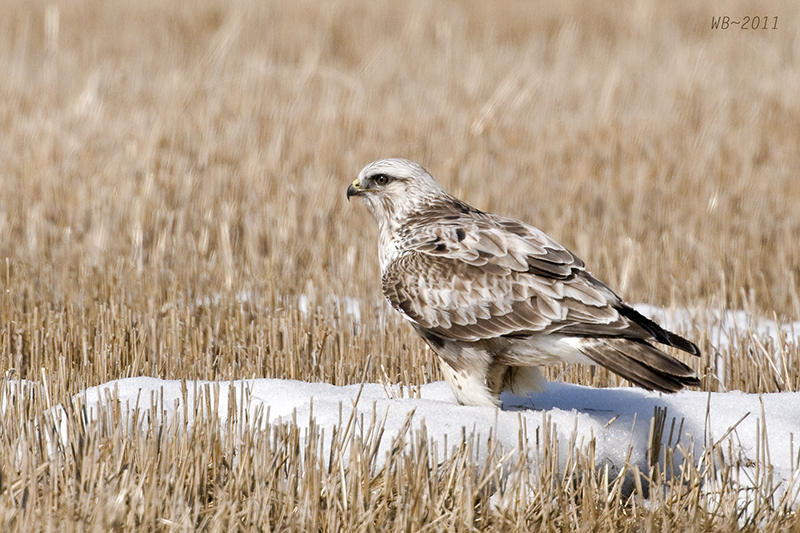 The name "Rough-legged" Hawk refers to the feathers on its legs that go down to its toes. 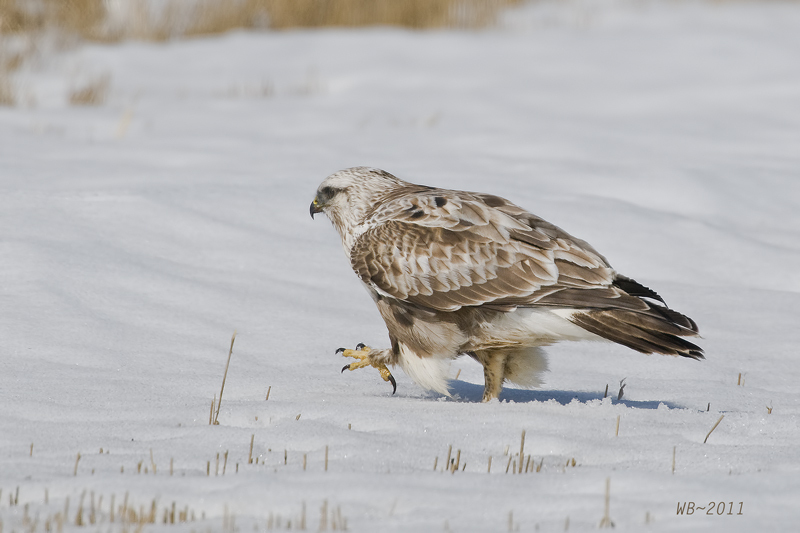 The Rough-legged Hawk, the Ferruginous Hawk, and the Golden Eagle are the only American hawks to have legs feathered all the way to the toes. The rear view in the photo below shows is leg jammies. 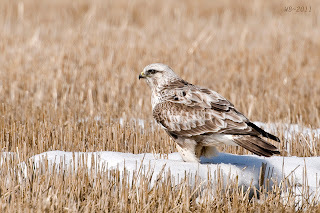 Commonly with pale, streaked chest and broad dark belly, but it also has an all dark form, but still with pale wing feathers and white at base of tail. 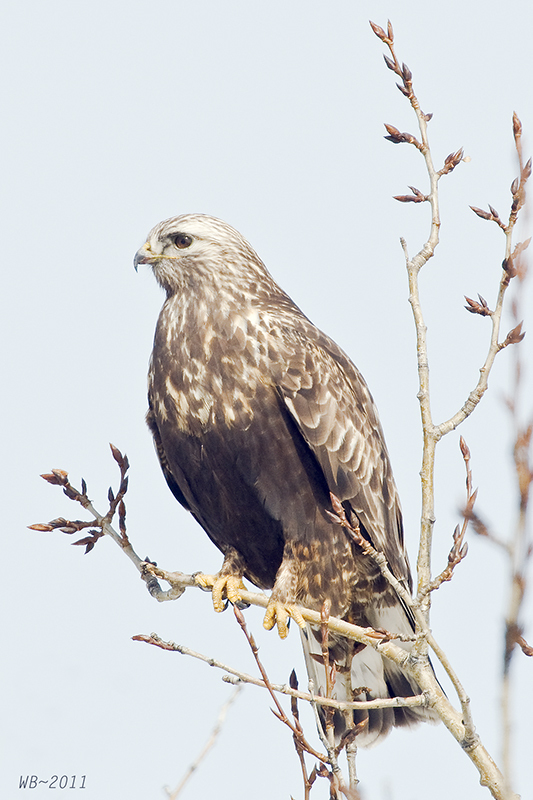 Its nest is a large bowl of sticks, sometimes including cariboo bones, typically on a cliff ledge. It is lined with grasses, sedges, small twigs, and greenery.